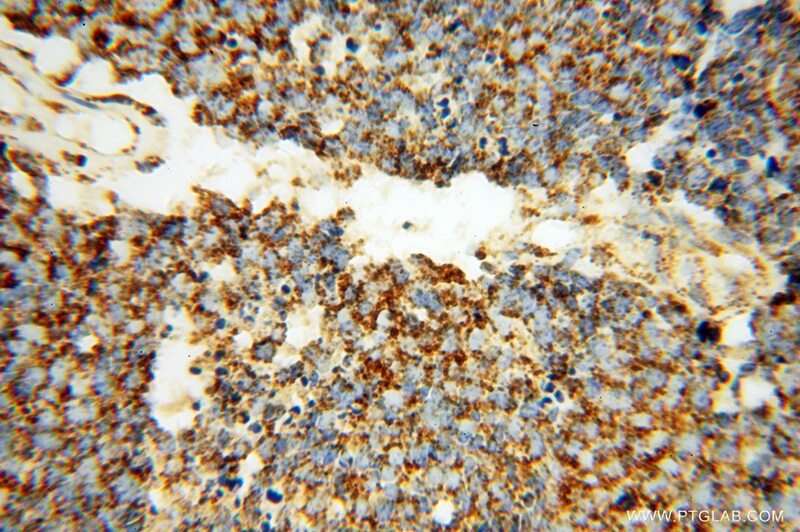 IP Result of anti-HSP60 (IP:15282-1-AP, 4ug; Detection:15282-1-AP 1:4000) with HEK-293 cells lysate 3680ug. Proteomic analysis of anti-tumor effects of 11-dehydrosinulariolide on CAL-27 cells. Membrane proteomic analysis comparing squamous cell lung cancer tissue and tumour-adjacent normal tissue. 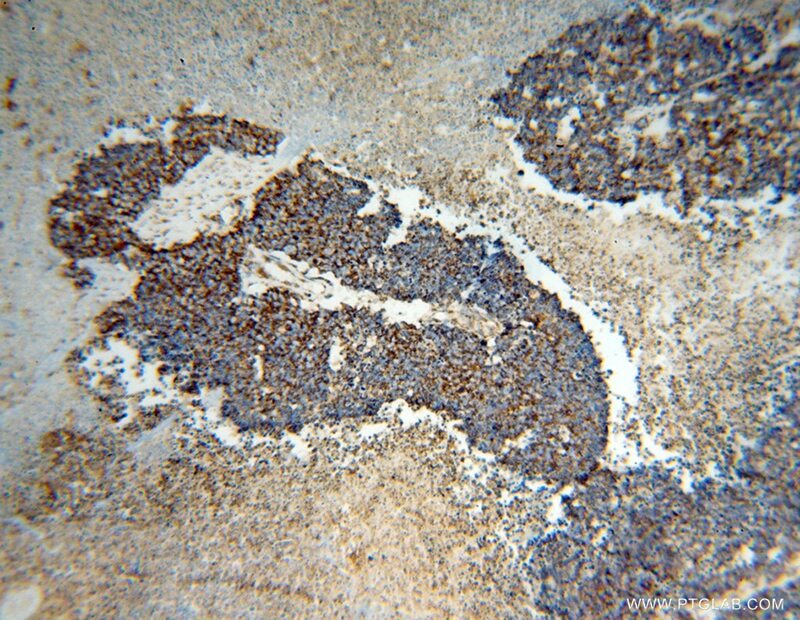 An investigation into the cytotoxic effects of 13-acetoxysarcocrassolide from the soft coral Sarcophyton crassocaule on bladder cancer cells. 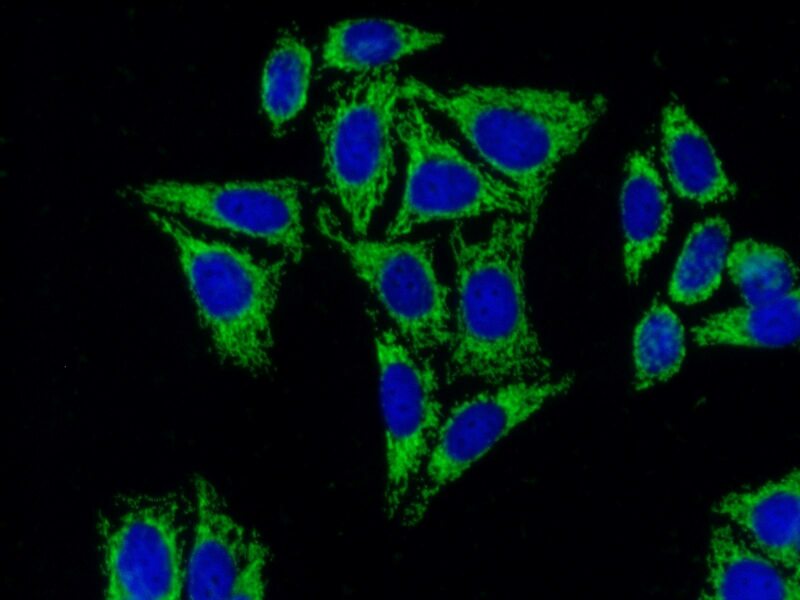 Proteomic investigation of anti-tumor activities exerted by sinularin against A2058 melanoma cells. A comparative proteomic study identified calreticulin and prohibitin up-regulated in adrenocortical carcinomas. 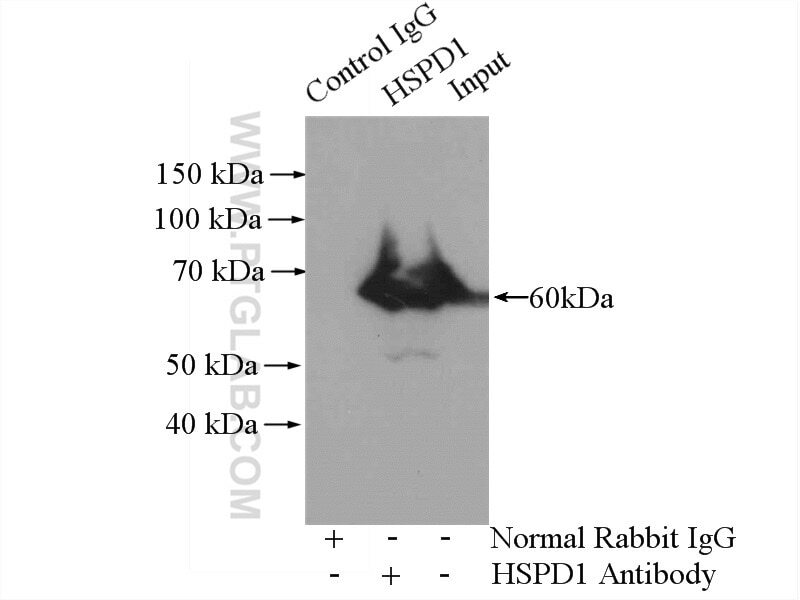 IP Result of anti-HSP60 (IP:15282-1-AP, 4ug; Detection:15282-1-AP 1:4000) with HEK-293 cells lysate 2000ug.